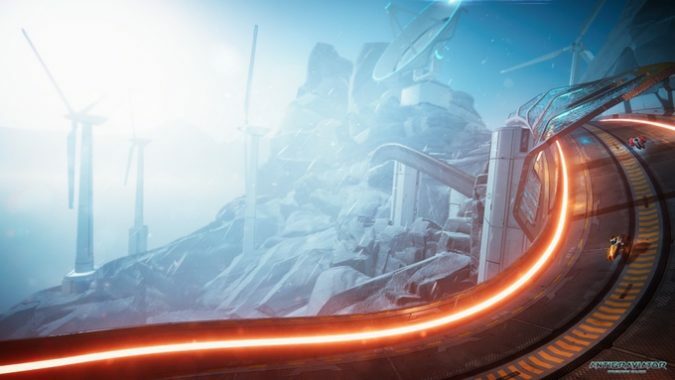 Antigraviator is a futuristic racing game where you can pick up power globes to trigger traps on your opponent. 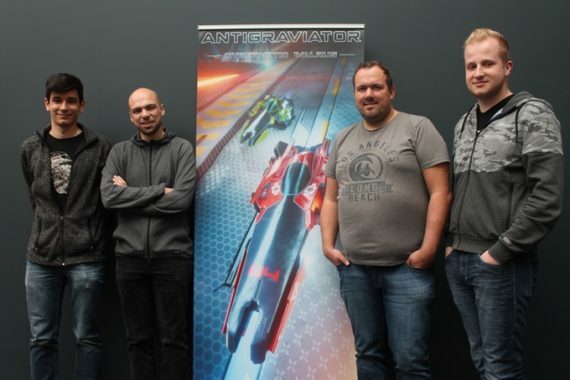 Antigraviator was started as school project by four second year students of digital arts and entertainment at Howest in Kortrijk. After entering some competitions it was clear the game had some potential. So we decided to form a company and see where this game would take us. We are now into full-time development of the game. 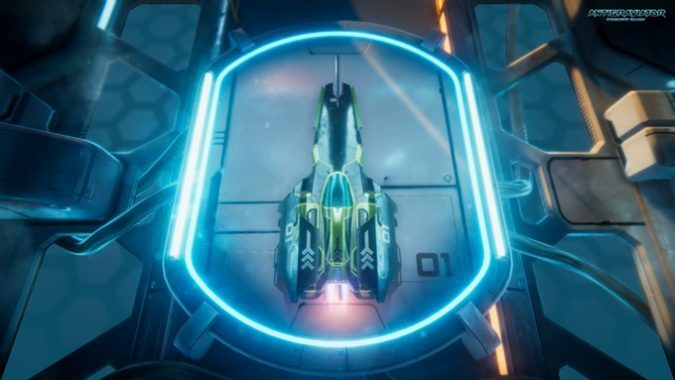 Among others, we are working on 3 different customizable ships, 12 race tracks on 4 different worlds, an online multiplayer with different leagues to compete in and an AI opponent to practice against. First of all Welcome to Retrogamesmaster. Maybe I have to first explain that I am into all sorts of games. From card games to board games, from table top roleplay to miniature games and from Console games to computer games. If it’s a game I like it J. So my first game experience is probably playing cards when I was 5 or 6 with my grandparents. My first computer game experience must have happened somewhere around the age of 8, when I got an Atari 600. I like games a lot so I always wondered what it would be like to create and program them. I tried to do this as a hobby by myself but quickly found out that it was very time consuming. So it was never a full time job till now. At the age of 38 I decided to fully go for it. I went back to school to get a bachelor degree at Howest. The offer a course called Digital Arts and Entertainment where I am majoring in game development. I am in my final year and I am about to graduate in a month. For Antigraviator we are using Unity and coding in C#. But through the education we also learned how to write our own engines in C++ and Unreal Engine 4. We are currently on Kickstarter and that could go better. Other than that we kind of have been lucky to be able to work on the game as part of our internship. So far that hasn’t been decided yet. But we will have a look at the market and decided then what could be a good idea to make. There is still a way to go on Antigraviator first. Except for some small school projects and my hobby projects that will never see the light of day because of being awful, this is the first game that we will publish. I do hope there are more to come though. It has to be the commodore64. I never had an amiga and I know it was superior to the commodore 64 but can’t really judge on that. The first Gameboy was also very revolutionary I guess. I enjoyed my time with that when I was young. I am also an avid lover of pen and paper role playing games and I have fond memories of the TSR gold box adventures series. Arcade wise it has to be wonderboy in monsterland. Except for the Xbox One dev kits we have in the office I hardly ever game on consoles. I have had a couple though throughout my life, but I am more of a PC gamer. It must have been one of those homemade games I programmed myself 😉 I played so many games that it is hard to say cause I usually only spend 5 to 30mins on those. Nothing really comes to mind at the moment I would just say, keep doing what you are doing!